Mother Nature is going big! This season is shaping up to be one for the books with 128 inches of snow so far, including 12-16″ of new snow in the last 48 hours. The mountain is looking like perfect conditions this weekend with quickly changing Big Bear road conditions. State Route 38 from Redlands to Big Bear is now open, in addition to SR 18 from Lucerne Valley. Facing a prolonged closure of HWY 18 from San Bernardino, wanted to provide a quick update on the actions that Visit Big Bear has taken and ask for your help in continuing to get the word out re: alternate routes to Big Bear Lake over the next several weeks. 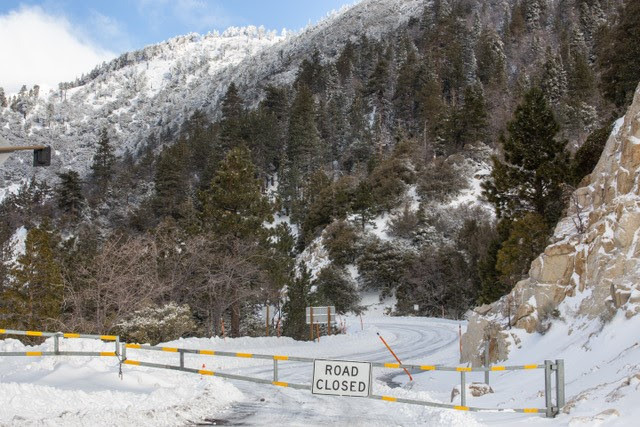 Their public relations agency has proactively reached out to local and regional TV, radio, print and online outlets with information about the closure and the two alternate routes up to Big Bear Lake. We’re already starting to see those efforts reflected in coverage of the storm system that’s hitting Big Bear now. On the Visit Big Bear website and on our social channels, they’ve posted the same information. They’re monitoring road conditions and repair efforts and will continue to provide updates as they become available. The Big Bear Visitors Bureau would also appreciate your help in getting out the message. The last thing we want to do is discourage visitation by talking about road closures, but they’re a reality and we’d like to avoid having visitors turned around trying to come up 18 from San Bernardino. Before departing check CalTrans for the latest on road conditions, carry chains and know how to use them. 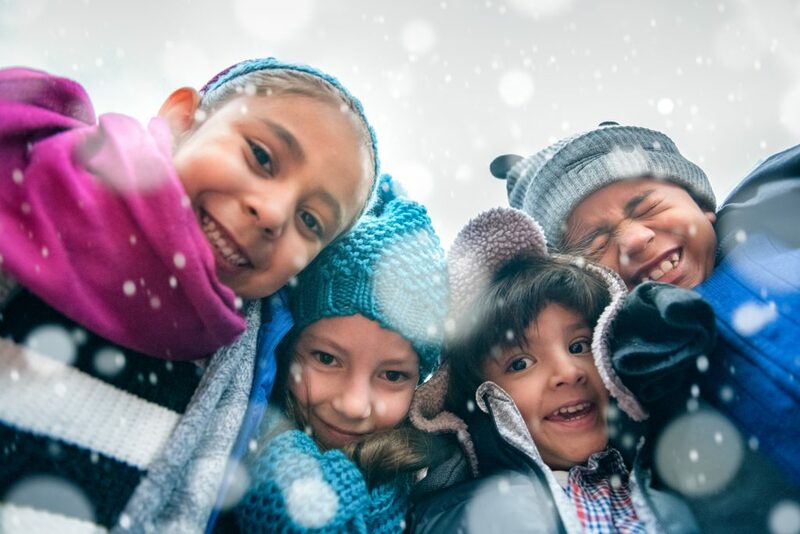 When traveling in winter conditions make sure to bring extra water, food, warm clothes and a flashlight in case of emergency. Attached you’ll find a PDF of a map that Big Bear Mountain Resort has posted to its website. We’re providing it here as it may be useful to you as well. Current road restrictions and chain requirements are in effect on all highways to Big Bear. 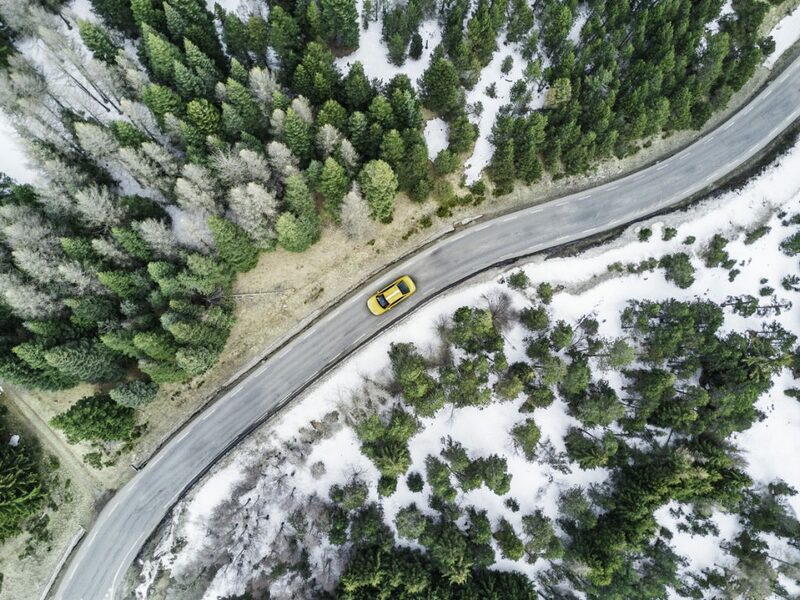 Stay up to date with road conditions and visit our blog for more tips to get on the hill quicker including current road restrictions, chain requirements and FREE child lift tickets.